GPN Wireless Network Solutions or better known as GPNetworks® is a well-established ISP within The Peace Country and provides both Fiber Optic and Wireless communication solutions. GPNetworks® client base is diverse and include organisations within the commercial, residential and public sectors. GPNetworks® is based in Grande Prairie and locally owned. GPNetworks® is promoting local business and the community by striving to keep their investment local. GPNetworks® started as a company called `Whippet` in 2005. GPNetworks® provided internet services using the Alberta Supernet network. It was soon realized that to become a major player in networking and service provider that investment was needed in its own infrastructure. GPNetworks® esabilished two gateways that are fully redundant. 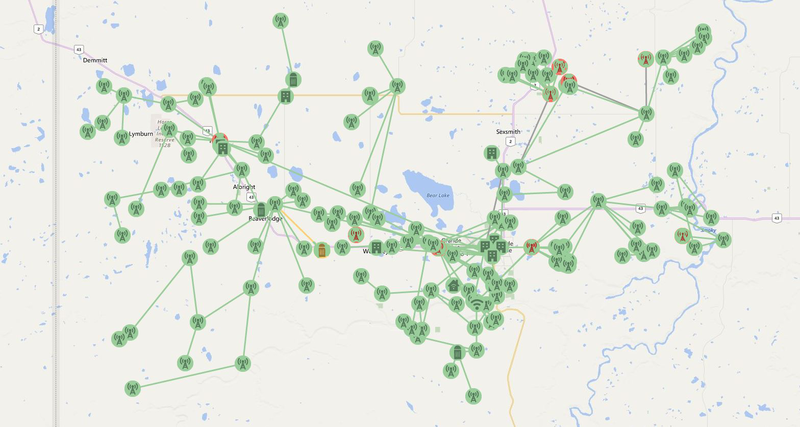 It also invested in a Fiber Backbone that runs from Hythe to Sexsmith via Grande Prairie. This allowed us to connect our major hubs to fiber and improve the wireless internet performance by eliminating wireless inter connectivity. In the last few years GPNetworks® became the 1st and only Internet provider that is providing fiber optic to the house. Several sub divisions were rolled out and many more are planned in the near future. This allows people to enjoy the county life but with the city style internet. GPNetworks® is complimenting its internet services with additional services such as e-mail, hosting, hotspot facilities, domain hosting and providing internet services at special events such as Stampedes. Delivering the services is supported by state of the art monitoring tools and a dedicated team of support specialist. This team is always looking at ways to improve the services by upgrading infrastructure and implementing new solutions, keeping the technology current and improving services.